Back home last weekend after a very tedious 620 mile journey. Recent catches have been good and expectations were high BUT it was the old story of "you should have been here last week". 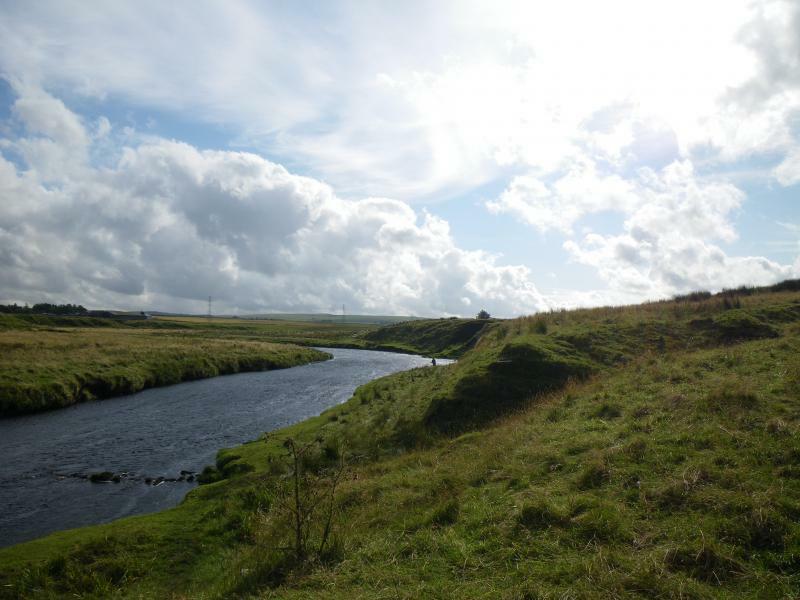 Falling river bright skies and gale force winds reduced the weeks total catch by 75%. Managed to shake hands with 2 fish (beat 10 and 2) but both fell off after a few minutes tussle and my pal landed 1 fish and lost 3. 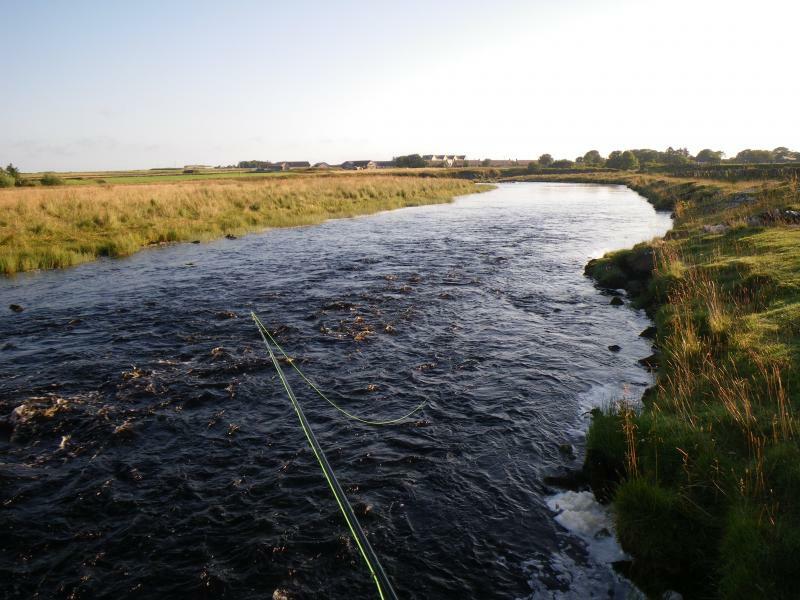 Many long time Thurso rods blanked and one or two rods had 5 or 6 for their week. The beats are huge and if you have any sort of mobility problems then life is difficult as the bankside vegitation and footpaths are very overgrown - very little vehicle access. 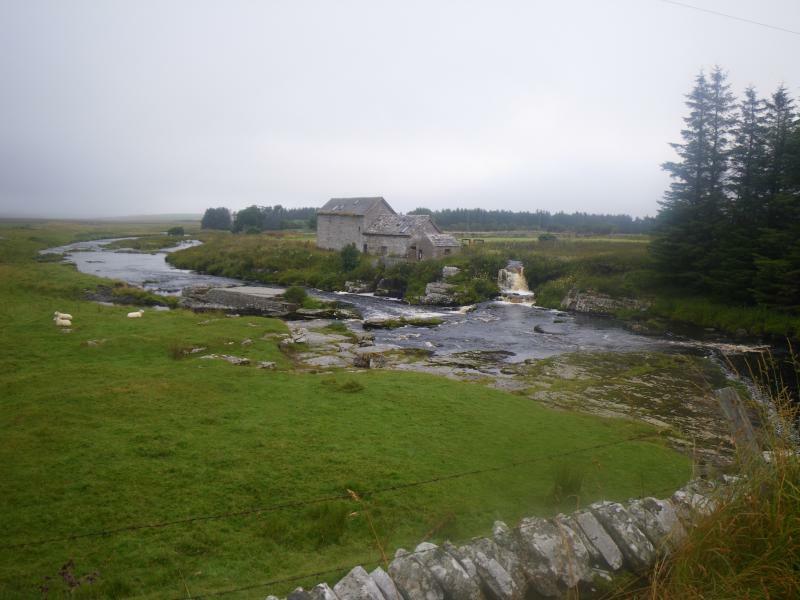 The river is mostly fished from the bank and with the low flow flies have to be worked on a lot of the pools. The waist high grasses on some of the beats make this somewhat tedious with lines snagging especially when the wind was blowing. At circa �200/day with a shared ghillie I do believe more effort should be put in to clear some of the banks. A lovely river and given better access I would be back in a shot - as it is I doubt if I would make the journey. Nice report and pics, Doug. I enjoyed reading it. 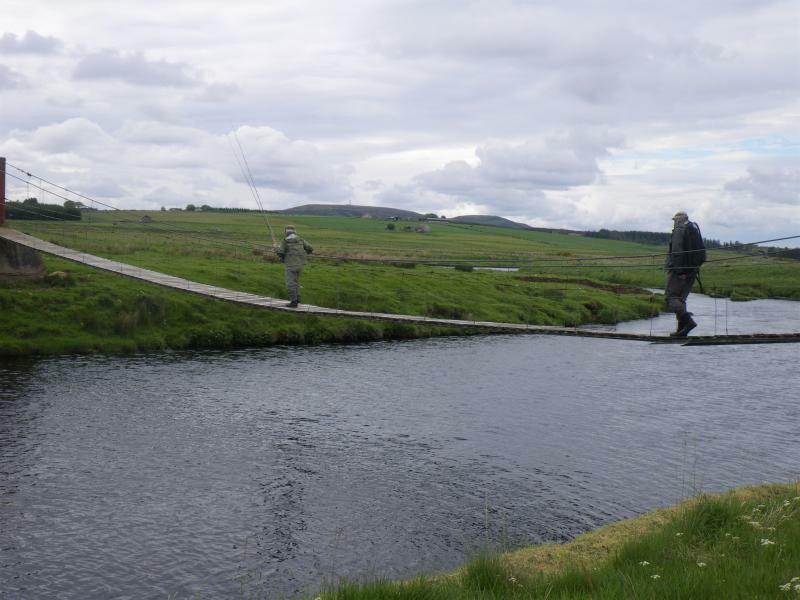 Salmon fishing holidays in the UK seems such a gamble from the anglers point of view so you think they would at least try to make the beats more accessible. Supply and demand I suppose. Hope you have better luck on the Stinchar in October. I take it it has a head of browns and sea trout also? 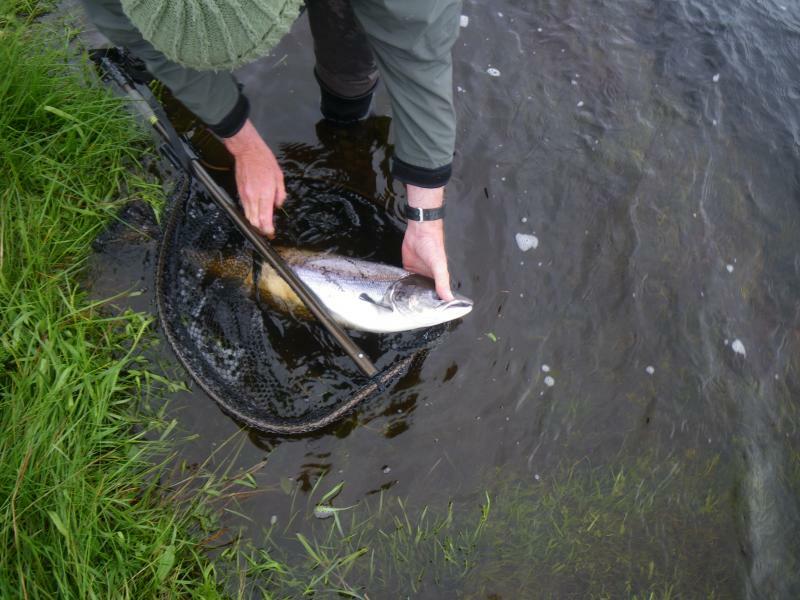 Not sure about the Sea Trout but certainly some good Brown Trout to be had. 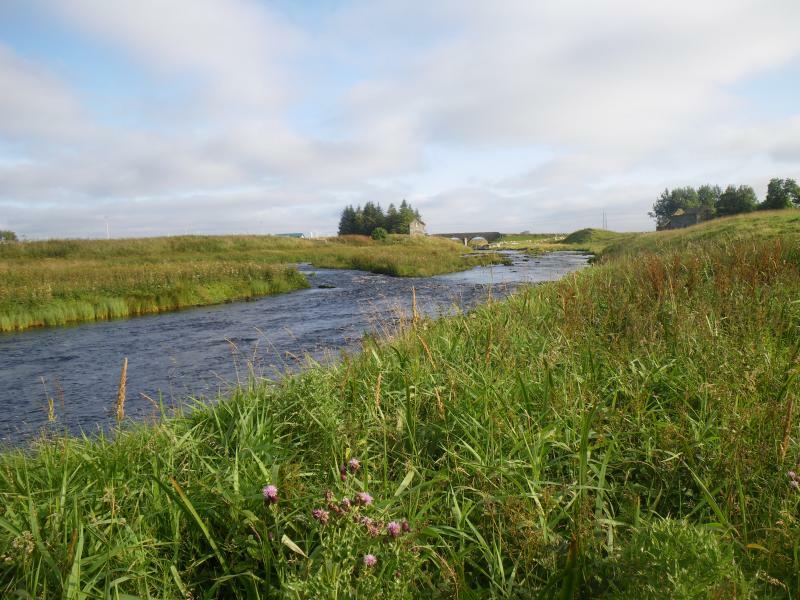 Just back from a week on the Thurso � slow start with a low river but a deluge on Tuesday put the river up 70 inches which is the biggest June flood in over 20 years. 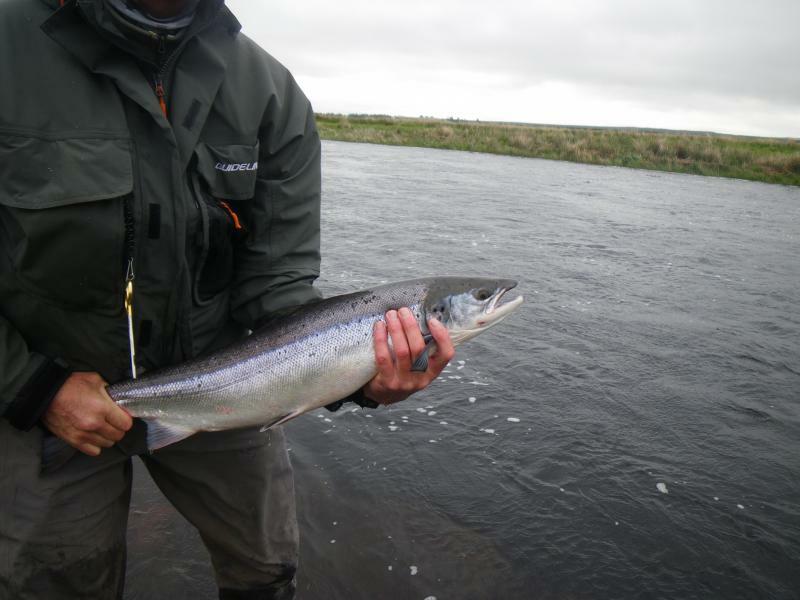 This put the fishing out for a couple of days but Friday saw the river slowly dropping and fish starting to appear. Over Friday and Saturday I took 5 fish and lost 2 more at the net. Some pictures of the river and the fish taken. Used my Shakey switch rod on the low water but reverted to bigger guns after the flood with fast sinking tips and 11/4� brass tubes. Had a go with the hotels Mckenzie FX1 which is good, in fact very good but would be hard pressed to find the extra �700 over and above the Mackenzie Perflex which the Hotel also let me try. 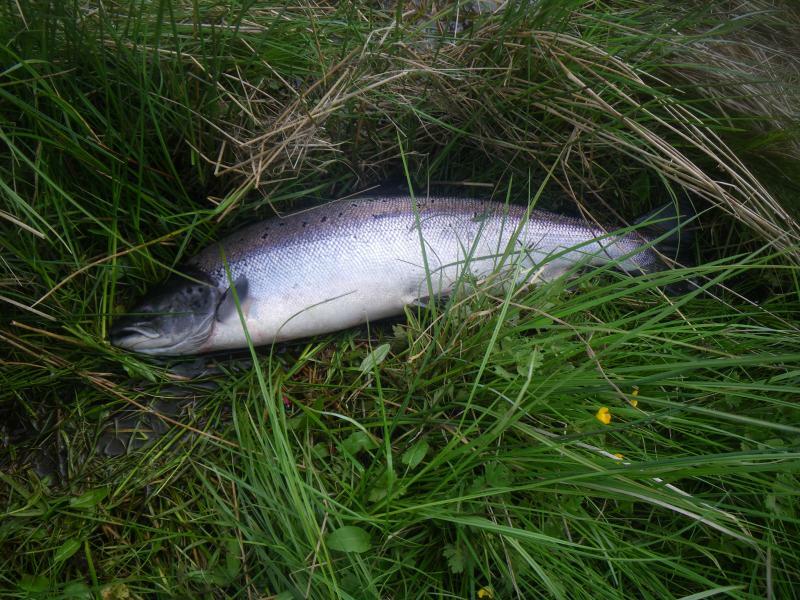 A tough week and to get the best out of the river you must take a ghillie. We made a big mistake 2 years ago in going it alone � this time sense prevailed and we thoroughly enjoyed the trip. Nice report and pics Doug, and glad you caught a few fish. 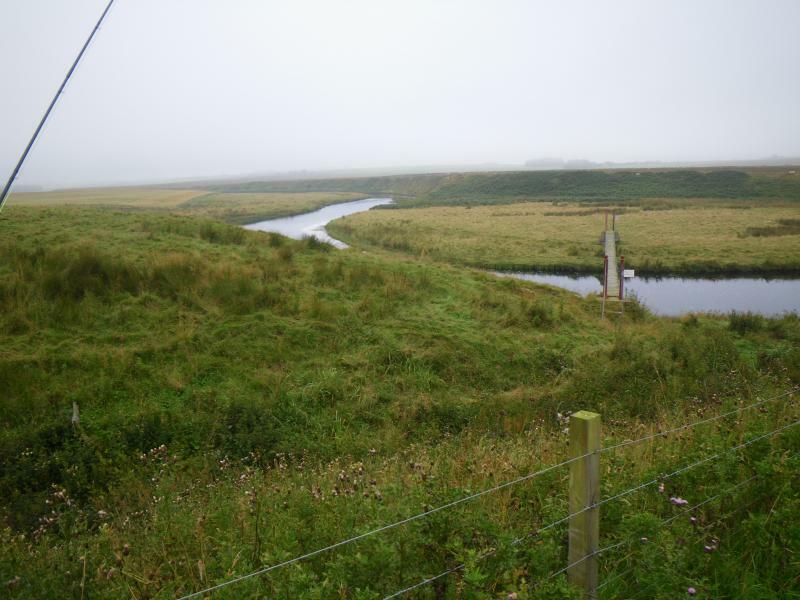 While the owners have no control over the weather and water levels, they do have some control over the condition of the banks so I can understand how frustrating it would be trying to cast with wait high grass. 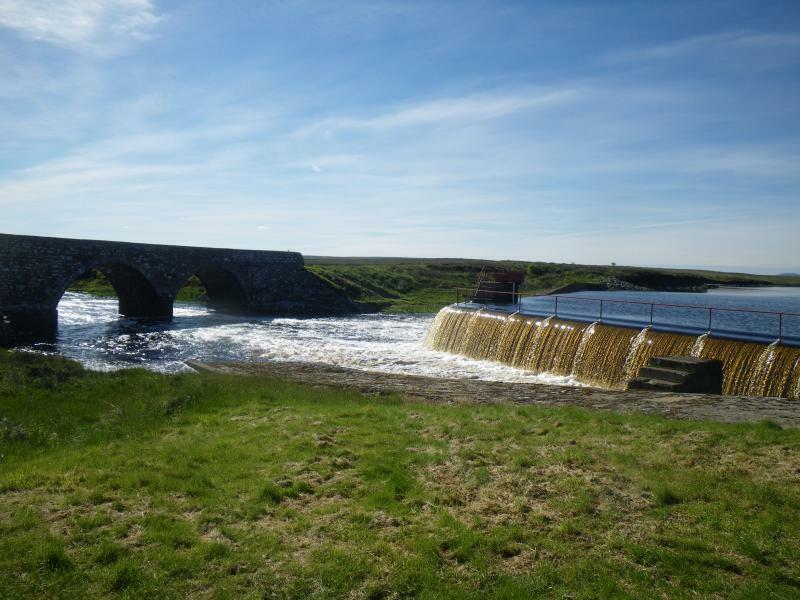 Back from Costa del Caithness with the Thurso in serious, serious need of water. 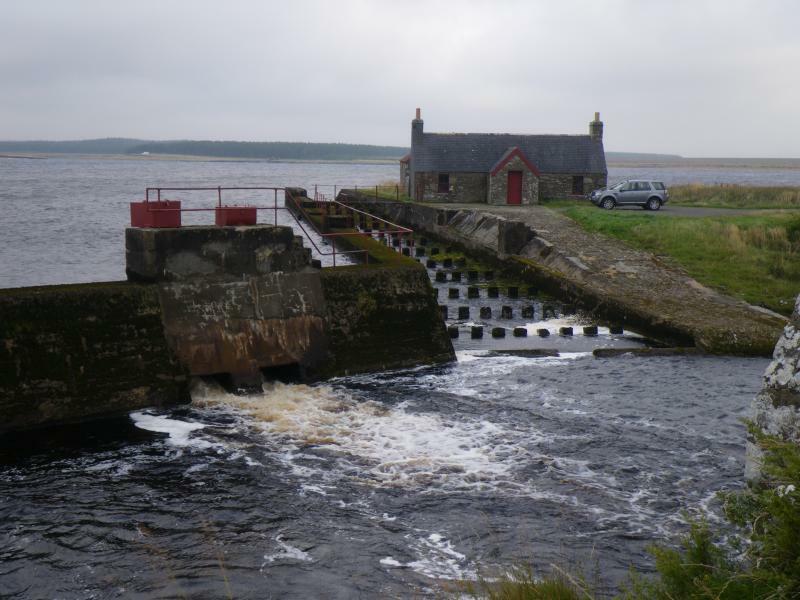 Loch More is down a good 10ft from topping the dam and the old concrete pontoons used back in the late 19 century are nearly showing. Needless to say we remained fishless with the only highlight raising a fish in the Fence pool on beat 2. Wall to wall sunshine for most of the week so the trout gear remained packed. We left a day early and some other rods finished even earlier. The hotel are recommending visiting rods to pack a set of golf clubs ,trout gear or even contemplate sea fishing and a number have already cancelled. Had a day touring and that coupled with the journey back down the A9 showed that the Halladale, Naver, Forss, Helmsdale, Brora and the Alness were all showing their bones. The Tay didn't look that special although it may have benefited from some severe storms in the catchment. Notwithstanding an enjoyable week meeting some really nice folk,enjoying good hotel food but disappointing on the salmon front. Going to Farmoor tomorrow to get a fix (hopefully). Edit :We did see some Osprey taking trout from the loch and also some marsh harriers along with red deer. I always think that Salmon fishing in the U.K is a sport for those who think the cup is more than half full. That adjustable chair at Farmoor must be calling you. Floating Lines, buzzers, nymphs, stick floats, maggots and throwing lures at bitey things. Your probably right Peter but after 40 odd years the cup takes a lot longer to get even half full. Boat booked for this afternoon on F2 so hope for some therapy.